To celebrate the opening of its first boutique in Japan, Vacheron Constantin presents a 100-piece limited edition: the Overseas dual time. 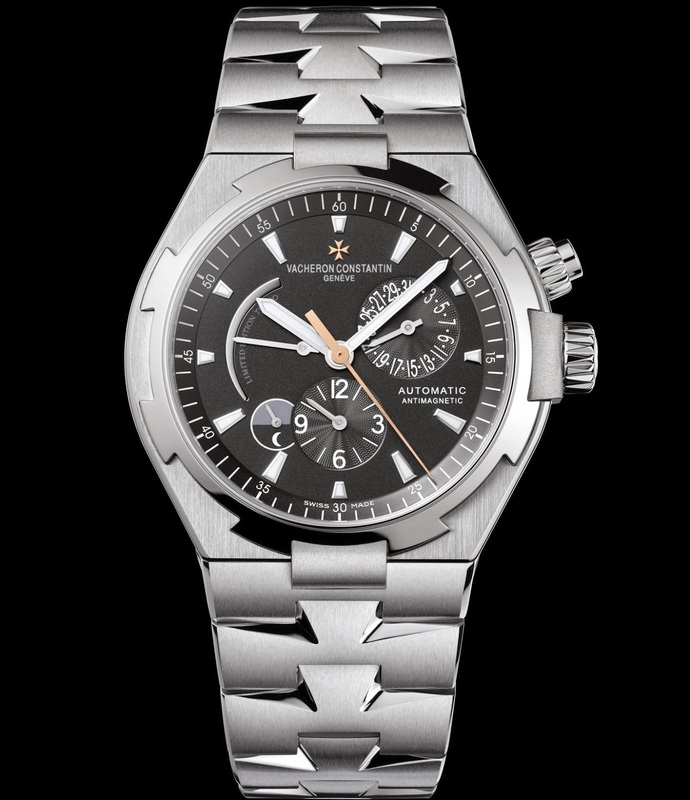 In addition to the date and the day/night indication, the Overseas dual time watch features two useful complications: a dual-time display and a power-reserve indication. The steel case with its bold, elegant lines instantly reflects the image of a watch with a distinctive character. It’s black, technical and sporty dial, along with its generous 42 mm-diameter case, ensure excellent readability of the various functions. Its “LIMITED EDITION TOKYO” secret signature is visible in the power-reserve zone and its date and dual-time counters are finely hand-guilloché with a motif inspired by the Japanese “Rising Sun”. This 100-piece limited edition gathers all the design codes that have forged the success of the Overseas collection with its streamlined design, a bezel shaped like a Maltese cross, as well as the iconic Overseas motif engraved on the solid caseback, depicting a two masted sailing ship. Other signature characteristics of the Overseas line are its powerful antimagnetic protection against fields of up to 25,000 A/m (the standard level being 4,000 A/m), thanks to a soft iron cage shielding the movement from the effects of the magnetic fields that are all around us in our daily environment and are liable to affect the regularity of the rate and thus the precision of a watch. Moreover, the water resistance of this Overseas dual time is tested at a pressure of 15 bar, equivalent to a depth of 150 metres, and further complemented by a screwed-down crown and push-piece ensuring entirely secure usage. Driven by self-winding Calibre 1222 SC beating at 28,800 vibrations/hour, the Overseas dual time model provides a central display of the hours, minutes and seconds, along with the time in another time zone appearing in a small day/night indicator. The dual-time display can be easily corrected via the winding-crown. A power-reserve indication as well as the date counter – adjustable via the 2 o’clock push-piece – round off the functions of this exceptional model. Its baton-type hands and its hour-markers are of course coated with a luminescent material ensuring their readability in every situation. 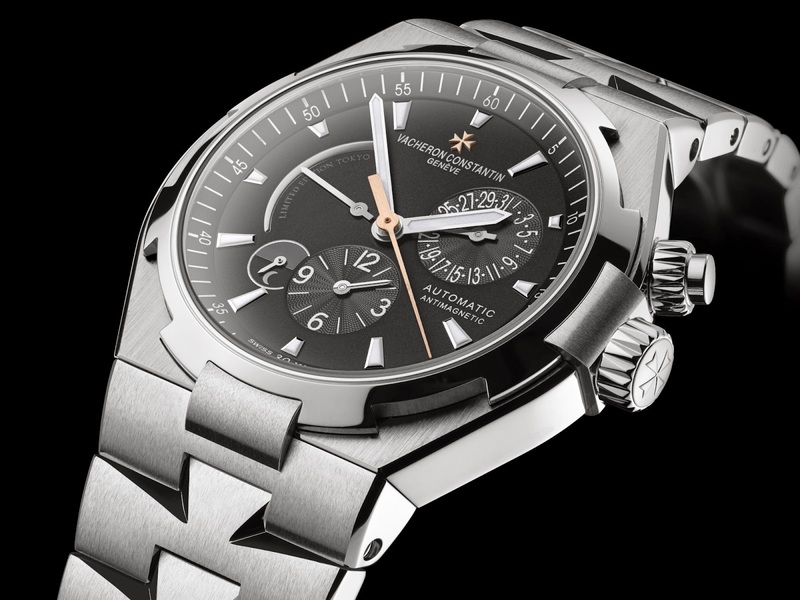 Sporty and elegant thanks to its steel bracelet composed of Maltese cross-inspired links guaranteeing optimal adaptability and comfort on the wrist, along with its triple-blade invisible clasp, the Overseas dual time is entirely at home in every situation.